Early next year, the Springer Nature publishing group will launch a new subscription journal devoted to artificial intelligence. Like its other journals, Nature will impose a pay wall and restrict access to paying customers - a move that isn't going over well with AI researchers, who say a for-profit subscription journal is not what the field needs right now. 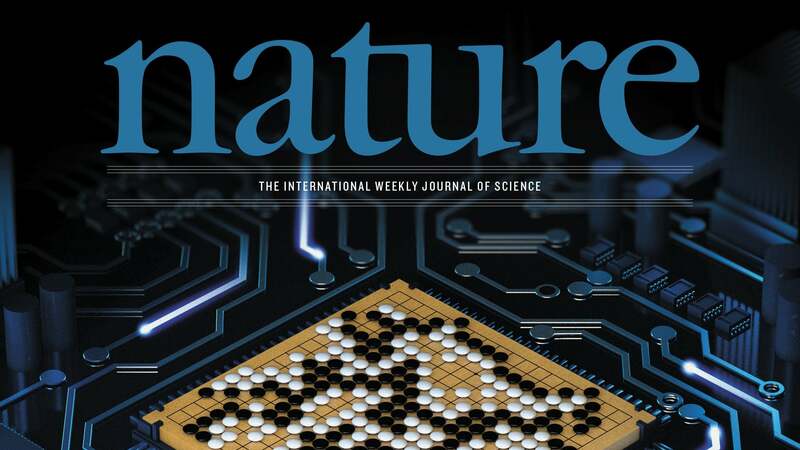 Scheduled for launch in January 2019, the new journal will be called Nature Machine Intelligence, and it will be the 53rd journal to bear the illustrious Nature name. The new online-only journal, headed by editor-in-chief Liesbeth Venema (previously a physics editor at Nature), will cover the "best research from across the field of artificial intelligence", and will include research and perspectives from the "fast-moving" fields of AI, machine learning and robotics. But if a petition organised by Tom Dietterich from the International Machine Learning Society and a computer scientist at Oregon University is any indication, the new journal won't include content from a sizable portion of the AI research community. Dietterich published the Statement on Nature Machine Intelligence on April 30, and since then it has attracted well over 3000 signatures from around the world, including dozens of names affiliated with such institutions as UC Berkeley, Harvard, Oxford and Stanford, and from companies such as Google, DeepMind, Microsoft, Facebook and Amazon. Journals, according to the statement, should "principally serve the needs of the intellectual community, in particular by providing the immediate and universal access to journal articles that modern technology supports, and doing so at a cost that excludes no one", adding that "virtually all of the major machine learning outlets... make no charge for access to or publication of papers". Signatories of the Statement state that they "will not submit to, review, or edit for this new journal". It's not yet clear how much access to the new journal will cost, but subscriptions to Nature's primary journal are currently $US199 ($264) a year, with single articles costing $US22 ($29) to buy. In conversation with Gizmodo, Dietterich said Nature's upcoming journal will have little worth given the machine learning research community's strong tradition of open access content and open source software. "The first journal in the field, Machine Learning, had expensive subscriptions and yet the publisher provided essentially no services to authors, such as proofreading or copy editing. So many of us left that journal and started our own free and open-access research journal, the Journal of Machine Learning Research, which is the top journal in the machine learning field," he said. "Conversely, our community does not have a tradition of publishing in Nature, so we are not giving anything up by boycotting Nature Machine Intelligence." He also accused the Nature Publishing Group of trying to leverage their reputation in natural science to make money in a hot research area. "In short, they have no history of supporting the machine learning research community and instead they are viewed as part of the disreputable ecosystem of people hoping to hype machine learning to make money." In an op-ed published today in The Guardian, Sheffield University computer scientist Neil Lawrence said researchers in this field have fared well without the need to involve commercial publishers. "The community itself created, collated, and reviewed the research it carried out," wrote Lawrence. "We used the internet to create new journals that were freely available and made no charge to authors. The era of subscriptions and leatherbound volumes seemed to be behind us." To which he added: "The public already pays taxes that fund our research. Why should people have to pay again to read the results?" Lawrence said the AI community has very little to gain from having its work published in a for-profit subscription journal, and that a pay-walled publication would hurt researchers working in less-funded institutions. Top journals include the Journal of Artificial Intelligence Research, Artificial Intelligence, the Journal of Machine Learning Research, IEEE Transactions on Pattern Analysis and Machine Intelligence (PAMI), ACM Transactions on Intelligent Systems Technology. There are also many conferences that perform a rigorous review of the paper submissions including the International Joint Conference on Artificial Intelligence, the AAAI Conference on Artificial Intelligence, the Neural Information Processing Systems conference, the International Conference on Machine Learning, the conference on Uncertainty in AI, specialised conferences in computer vision, speech, natural language processing, and robotics. And of course some people just post their manuscripts to arXiv, where they are immediately available to thousands of researchers. In response to a Gizmodo inquiry, a spokesperson for Nature Machine Intelligence said open access has been around for about two decades, but it still only accounts for a small percentage of overall global research output, while demand for subscription content remains high. "This is because the move to open access is complex, and for many, simply not a viable option," said the spokesperson. "It involves substantial editorial development, offers high levels of author service and publishes informative, accessible content beyond primary research all of which requires considerable investment. At present, we believe that the fairest way of producing highly selective journals like this one and ensuring their long-term sustainability as a resource for the widest possible community, is to spread these costs among many readers - instead of having them borne by a few authors." The spokesperson said Springer Nature also offers multiple open access options for AI authors, including Scientific Reports and Nature Communications. The company also offers "hybrid" publishing options, and is preparing to launch a new AI multidisciplinary, open access journal later this year. Researchers are also encouraged to freely share their discoveries via preprints and data- and code-sharing, among other offerings, according to the spokesperson. It's unclear if the boycott will affect Nature's ability to publish a top-tier publication devoted exclusively to machine intelligence, but given how many people are currently engaged in AI research, it's unlikely to have a significant impact. That said, the popularity of the petition suggests a sea change is underway in academic publishing, and that paywalls may eventually become a relic of the past.